New Directions Publishing Corporation, 9780811216210, 96pp. Revolutionary poetry by an exiled Iraqi woman. 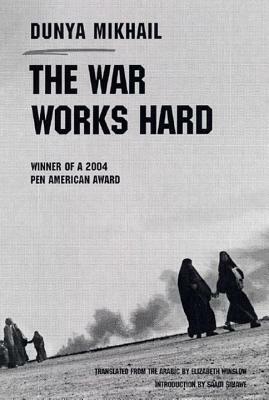 Winner of a 2004 PEN Translation Fund Award. "Yesterday I lost a country," Dunya Mikhail writes in The War Works Hard, a revolutionary work by an exiled Iraqi poether first to appear in English. Amidst the ongoing atrocities in Iraq, here is an important new voice that rescues the human spirit from the ruins, unmasking the official glorification of war with telegraphic lexical austerity. Embracing literary traditions from ancient Mesopotamian mythology to Biblical and Qur'anic parables to Western modernism, Mikhail's poetic vision transcends cultural and linguistic boundaries with liberating compassion.